Three years on from the wonderful WHOKILL, Merrill Garbus is back with a third studio album that’s as fiercely inventive as it is fun. Here she explains how stepping away from the loop pedal, embracing collaboration and learning to speak her mind influenced latest LP Nikki Nack. Having raised the stakes with WHOKILL, did you feel any additional pressure when it came to writing Nikki Nack? Of course, but I think I felt a lot of pressure with the last album as well. Part of my job is to ignore the outside world and critics, and even fans to a certain extent. I think that, often, fans don’t know what they want from the next album. Sometimes they’re disappointed and sometimes they’ll come back to an album years later say, “Oh, now I understand what she was doing.” I wasn’t always as successful at divorcing myself from those opinions and pressures, but I really tried to nurture the feeling of being a solitary, non-pressured artist. Sonically, Nikki Nack, feels even more complex than WHOKILL, with a heightened emphasis on rhythm. What was the goal? Yeah. I had no idea what I wanted to do next, apart from the fact I wanted to focus more on drums and vocals. Originally, my goal was just to nourish myself again and to give myself a chance to improve and be inspired, be that through books or by learning to drum and sing better. I went to a Broadway belting coach and a classical teacher, took a drum kit lesson and took Haitian drum lessons. I also wanted to give myself chance to heal because my voice didn’t feel great after the WHOKILL touring. I thought that if I took away my safety net, I might be scared for a while but surely I would learn more. You also read Molly-Ann Leikin’s book ‘How To Write A Hit Song’, right? Did you draw much from that?! Oh yeah, it’s great! It was a compelling read. I mean, there’s a lot that I pull from pop music. I love pop music; I love dancing to it. Everyone loves a really catchy song, right? I think that I just wanted, and still want, to be a better songwriter. It’s like, if I’m graced with this as a career – which is just still rather unbelievable – then let me really treat it as a craft, like a lot of songwriters do. So how did you approach the creative process differently? It’s your first LP as well that isn’t entirely self-produced. Why did you decide to bring in external people? Well, truthfully, I was encouraged to do so, but I think now that was wise. In a selfish way, I thought that I might learn from [the producers]. I would love to be a producer of other people’s albums someday – and I already have been somewhat – but “record producer” is a pretty fancy title, and I wanted to say, “Ok, well what is this job exactly?” And the answer is it’s a very weird job. I think I was just generally more open this time, partially because I didn’t have such a strong vision as I did with Bird-Brains and WHOKILL. But working with a producer doesn’t actually feel much different to working with a mixing engineer or a recording engineer; everyone is slightly influencing the song. It’s just that a producer has a whole range of influence on the whole thing. Was it at all difficult to hand over that control? So why did you pick Malay and John Hill? Some producers have a reputation of making every album an album that sounds like them and their style, and not the artist’s, but Malay had quite the opposite. He had a reputation of being a facilitator; someone who’s of real assistance to, and encouraging of, the artist. Someone who’s rather transparent with his work, if that makes sense? And John Hill had worked with MIA, who I am a large fan of, and on that Rihanna song ‘You Da One’, which I loved. He also has a really great knowledge and appreciation of reggae and making music in general. I really got to know Malay’s work through the production he did on the Frank Ocean album. It’s just very different, coming at RnB from a sideways angle rather than doing anything stereotyped, and I think John Hill is the same way. They’re both rather experimental in the way they think about music, looking for different sounds they haven’t heard before. 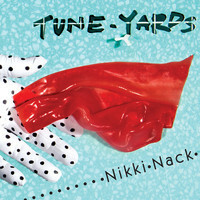 Lyrically, the record’s dense with ideas, ranging from quite personal issues to social observations. Do you see an overarching theme amongst these songs? I think the overarching idea of this record – and of all my records – is where I am at that moment. It literally is a record of my year and a half making this album. 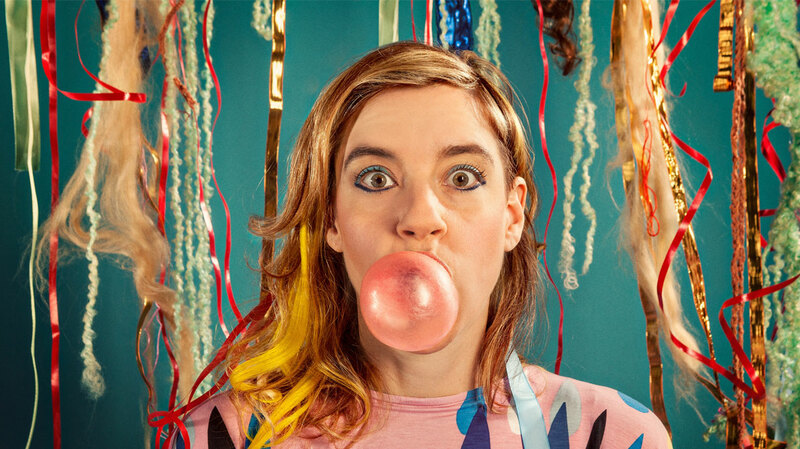 Nate [Brenner] – who has been playing bass in tUnE-yArDs for years – really contributed in a deeper way to the composition of the songs. This was a really new musical relationship for us and so this idea of “finding a new way” is certainly in there, in the sense that something has to change because it isn’t working anymore. So I think the original title of the album, “Sink-O”, had to do with a similar notion of change and of something different happening. Syncopation in itself is defined by being different than the norm, or different from what you expect rhythmically, and then you have this idea of this sink hole, which opens up the earth and swallows houses whole. All of these things were about change and the earth – and maybe even society – crumbling. And these are all my observations of the world. In an interview with Pitchfork, you said you never want to be known as a political songwriter, but you can’t listen to Nikki Nack without getting a sense of your politics. Have you changed your stance on speaking out? It’s so weird that I said that – was I literally quoted out of context or what?! I think any art is political, even if it claims to be apolitical, simply by virtue of its context. I think what I definitely meant is that I’m not here to stuff my opinions down other people’s throats or ears. And yet at the same time, yes, ‘Stop That Man’ was absolutely influenced by the George Zimmerman/Trayvon Martin trial in the States. I think that ‘Real Thing’ deals with race, and with my country, and with being a woman in society. These are things I’m talking about because I have to, because I feel they’re the truth; they’re a part of my truth. So I guess where the personal is political (which I think is most of the time) then that’s where my music is. There are certain things that I strongly believe are either just wrong or right, and I feel fine writing about human rights because I believe in them. The central refrain of ‘Manchild’ is particularly intriguing: “I’m not going to say yes when what I really mean is no.” Can you tell us more about the inspirations behind that song? That’s the perfect example of the political coming out of the personal, because it came from my own frustration with myself. For an empowered, strong-voiced, female singer-songwriter, I found that I was being quite timid in telling my truth to people, speaking about what I actually felt. That included this shyness I had when explaining what I wanted from the recording, but also with my life. I started noticing a dishonesty that comes with politeness; lying as part of some societal construct. You know it’s like someone saying, “Do you want some tea?” and me saying “No, no, I’m fine,” when actually I really want some tea. That started to bother me because if you add those up too much you start to get divorced from what you actually want, whether that’s tea or a hug or something bigger, like a real change in a relationship. And these things really add up to something that can be destructive. I don’t know if it’s more applicable to women than it is men, but I know far more women who have a hard time saying what they really mean. So to write this chant, and then have this beautiful job where I get to sing it to other people, and have them sing it back, is a really wonderful thing to have come out of a personal experience. What would you say you’ve learned about yourself from making this record? I guess I’ve learned to forgive myself a lot more than I have in the past, and to forgive others too, allowing for some kind of collaboration. When I made Bird-Brains I felt so possessive because I was probably really frightened that this would be attributed to somebody else’s brain or heart. I’ve learned to be gentle with myself and with the world, which maybe sounds nuts because this album doesn’t feel gentle! But I do: I feel more at peace with what it means to be a musician.